Pakistan and the United States are increasingly questioning the benefits of their strategic partnership. Officially Washington continues to lavish praise on President Musharraf for aligning his country against global terrorism. But many of Pakistan’s extremist groups and associated Islamic institutions appear to be operating with near impunity and fueling the insurgency in Afghanistan. Musharraf’s commitment to a peace process with New Delhi has earned him high approval in Washington; yet Pakistan’s security services are blamed for complicity in terrorist acts against India. The Pakistan President is applauded for his vision of an enlightened, moderate Pakistan in the face of reported violations of civil liberties and denials of women’s rights, and a federal government powerless to enact reforms. US policy makers may believe that Musharraf is indispensable at Pakistan’s helm, but many critics balk at continuing to give him a virtual pass to perpetuate his country’s military ascendance and resist a full probe of its past nuclear-related transfers. Even if many in Washington are willing to accept that his assurances to the US are sincere, they believe Musharraf’s domestic constraints make it doubtful he can deliver on his promises. 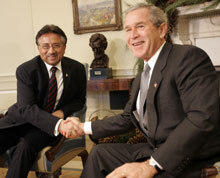 In Pakistan, Musharraf’s cooperation with the United States has become a growing liability. 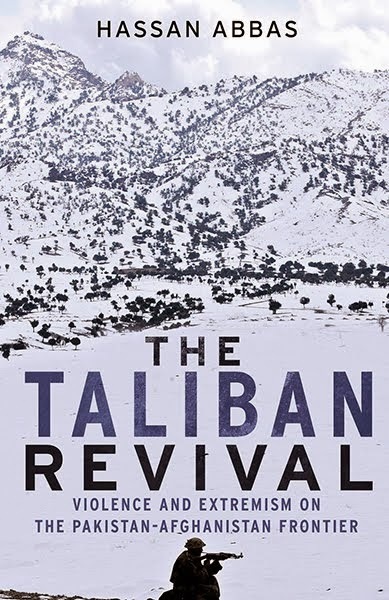 The expectations are gone that by deserting the Taliban in 2001 Pakistan would reap handsome rewards. Aside from American relief efforts following last year’s earthquake, US assistance, most of it dedicated to the military and for budgetary support, is barely noticed by the public. Washington’s offer of nuclear cooperation with India and its denial to Pakistan are seen as testimony that the US has cast its lot economically and strategically with India. This is underscored by the failure to reach an investment agreement with Pakistan during President Bush’s March visit, and refusal to amend US textile policies that hinder Pakistan’s industry. Largely because Washington indiscriminately labels most conflicts across the Middle East and Afghanistan as part of the war on terrorism, most Pakistanis see it as a war against Islam, and thus not their war. The Musharraf government’s unpopular, failed militarization of the tribal agencies is generally seen as undertaken at the behest of the US. The public seems prepared to accept intelligence sharing, but sovereignty-sensitive Pakistanis are deeply offended by Washington’s declaration that the American military would enter Pakistani territory, even if uninvited, to apprehend a high value Al Qaeda figure. How then do the two countries shore up an increasingly problematic but critical relationship? If Washington must alter some policies, so too must Pakistan. For starters, the US should revise its assistance priorities, show greater sensitivity in its public diplomacy, and take a more pro-active role in facilitating resolution of Pakistan’s differences with India. For Pakistan, only significant changes in the domestic political landscape offer any hope for a sustainable partnership. Musharraf cannot satisfy his allies or realize the aspirations of most Pakistanis with his jerrybuilt political party and ultimate dependency on the loyalties of his generals. He must move quickly to build a more inclusive constituency that includes those progressive political elements he has shunned and tried to cripple. Otherwise, he can only win next year’s legislative elections by aligning his opportunistic party followers with one of the larger jihadi-supporting Islamic parties. Even then Musharraf and his backers will have to resort to large-scale electoral manipulation in order to ensure a parliamentary majority. Legitimacy will also be an issue should President Musharraf decide, as expected, to seek reelection from lame duck national and provincial assemblies and insist on remaining army chief too. The US has too much at stake to remain as passive as it has. Washington refrained from cautioning or criticizing Musharraf when he claimed the presidency through a stacked referendum, arbitrarily enhanced his constitutional powers, pre-cooked national elections,and then reneged on a pledge to take off his uniform. The US thereby managed to reinforce the impression it prefers military governments to democratic ones. A failure now to encourage Musharraf to open the political system will doom hopes for progressive policies. It will only produce a coalition inclined to be more confrontational with India and Afghanistan. For many in Pakistan it would also confirm the US as a fickle ally that will once again desert Pakistan if it should succeed against Al Qaeda. For an alliance that endures, Washington must counter the widely held view that the American partnership is with Musharraf and the army, not with the people of Pakistan. Marvin G. Weinbaum is a Scholar-in-Residence at the Middle East Institute. 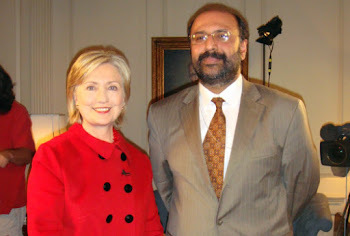 He is a former US State department analyst for Pakistan and emeritus professor at the University of Illinois.